Brighton Getaways donates £1 to Rockinghorse for every booking we take to help make life better for sick children in Sussex. We also ask our customers to voluntarily match this donation. 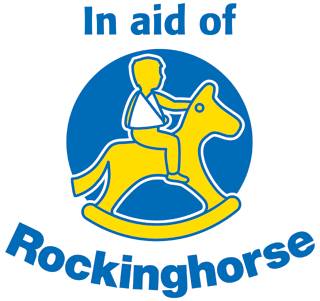 Rockinghorse is a Brighton-based charity which has been supporting children for nearly 50 years. It was set up in 1967 by Dr Trevor Mann, who recognised there was a real need for additional resources to improve healthcare services for sick children and babies. At Rockinghorse Children’s Charity, their aim is to improve the lives of sick children throughout Sussex. They are the official fundraising arm of the Royal Alexandra Children's Hospital (the Alex) where they raise money for life-saving and cutting-edge medical equipment, while ensuring that children are treated in an environment better suited to their needs. They also support the Trevor Mann Baby Unit (TMBU) based at the Royal Sussex County Hospital in Brighton and its sister site, the Special Care Baby Unit (SCBU) at the Princess Royal Hospital in Haywards Heath.